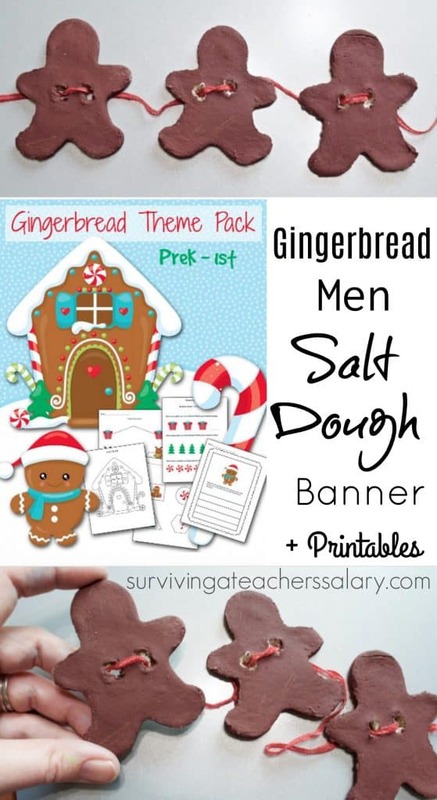 This Gingerbread Men banner is a fun sensory decor project for the holidays and is made using a simple salt dough recipe. Below you’ll find the salt dough recipe that I used along with tips. Mix all dry ingredients together well. 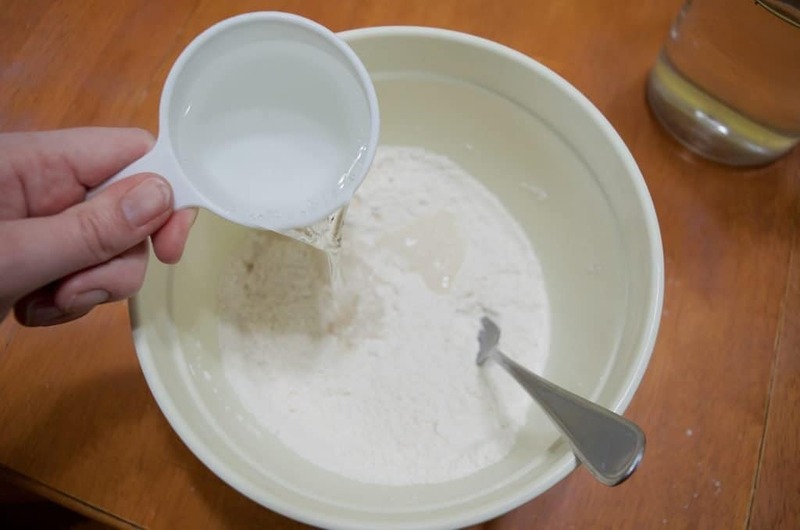 (salt and flour) Then pour in up to 1 cup of water and mix well. You should be able to then pick it up and knead it as desired. If the mix is too sticky just grab a few small handfuls of flour and work it in. 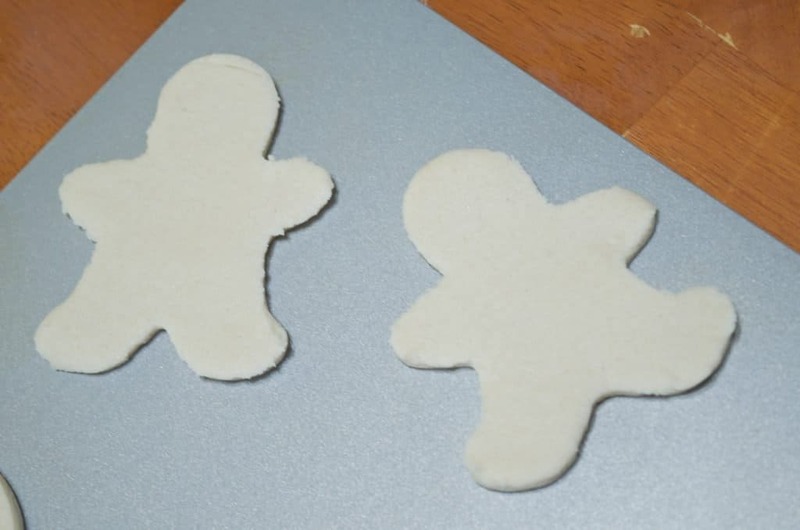 Flatten the salt dough mix (I used a rolling pin ) and use a gingerbread man shaped cookie cutter to cut salt dough. Place on a nonstick cookie sheet and bake in the oven at 200*F for 2 hours. Let cool. 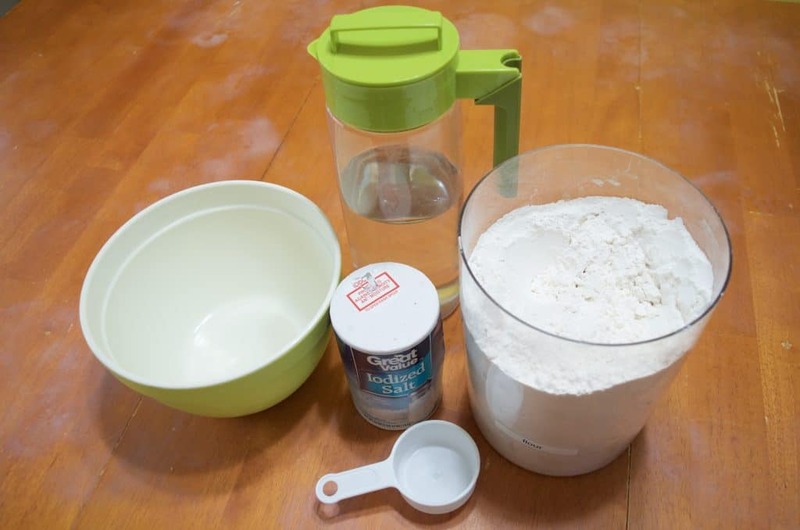 This is your basic salt dough recipe. 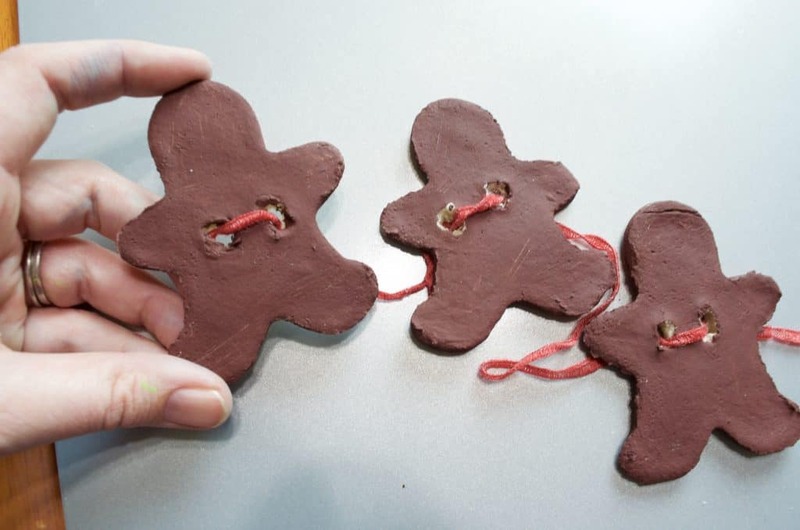 **TIP** – Make sure BEFORE you cook your gingerbread man salt dough recipe that you poke 2 small holes in the middle so that you can thread your yarn later! It will be near impossible to carve the holes out after it has been cooked. Once cooked let cool completely. These are perfect for making even days before your project. 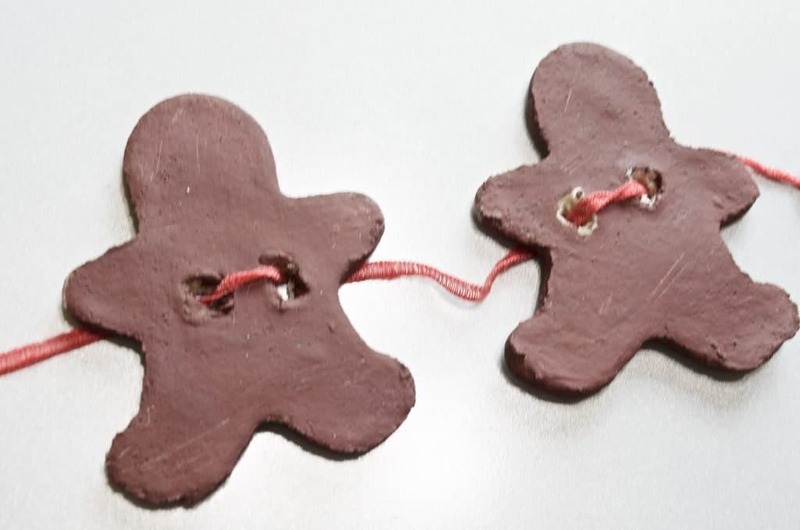 Using brown acrylic paint cover your gingerbread! Your kids can try brown markers if you want less mess but they definitely don’t turn out near as nicely. After your paint has dried thread your yarn or string through to create your banner! I was happy with how my gingerbread men banner turned out for the first try but I’ll tell you how yours can be better and what I would do next time. 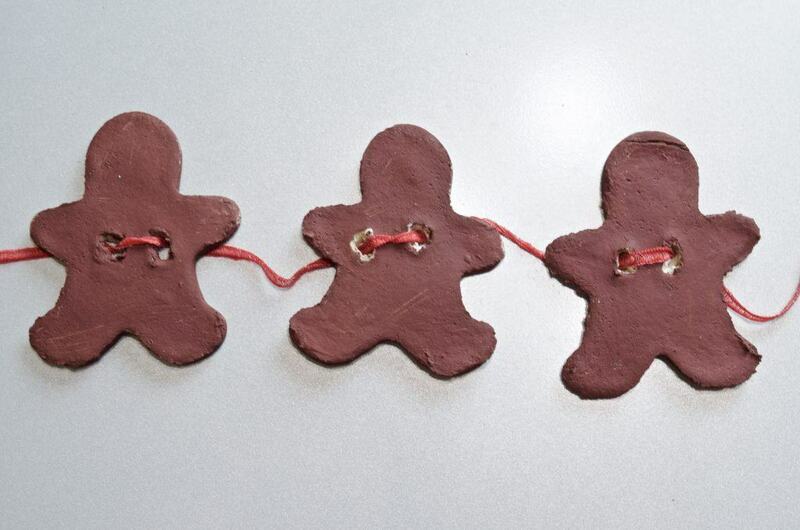 Because my string is SO THIN my heavy gingerbread men tended to flop around unless I pulled them tight onto the wall. I recommend using wider yarn with 2 slots instead of small holes. OR you could simply NOT put holes in your gingerbread men and then glue them onto burlap strips or burlap bunting flag ! 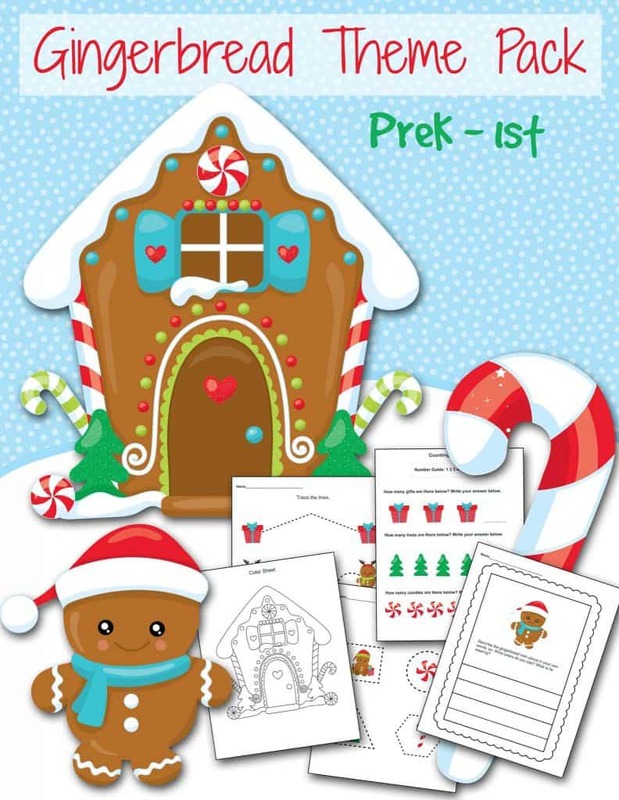 If you’re doing this as a class project you can even have the kids decorate each gingerbread man and then display them all over the classroom!